Summer’s almost here, it’s time to load the family into the motorhome and head out on the open road! 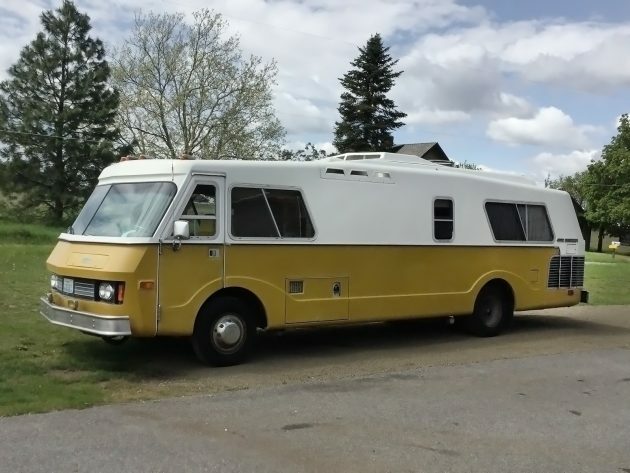 This original 1974 FMC 2900R Motorhome is listed on eBay with a price of $2,025 and there are over five days left on the auction. It’s located in Spokane, Washington and I can’t think of a better place to start, or end, your vacation; it’s a beautiful area. The folks at FMC were the motorhome-masters, at least they were to me when I’d see these on the road back in the 1970s and would dream about having one someday. Class is in session: In 1893, a gentleman named John Bean invented an insecticide pump which became successful and in 1928 the company’s name was thankfully changed from John Bean Manufacturing Company to Food Machinery Corporation, or, FMC, when they entered the canning machinery business. In the late-1960s, during a slow time with their government contracts, they got the idea to jump into the quickly-growing RV market and after a couple of smaller designs they settled on the 29-foot model that you see here. 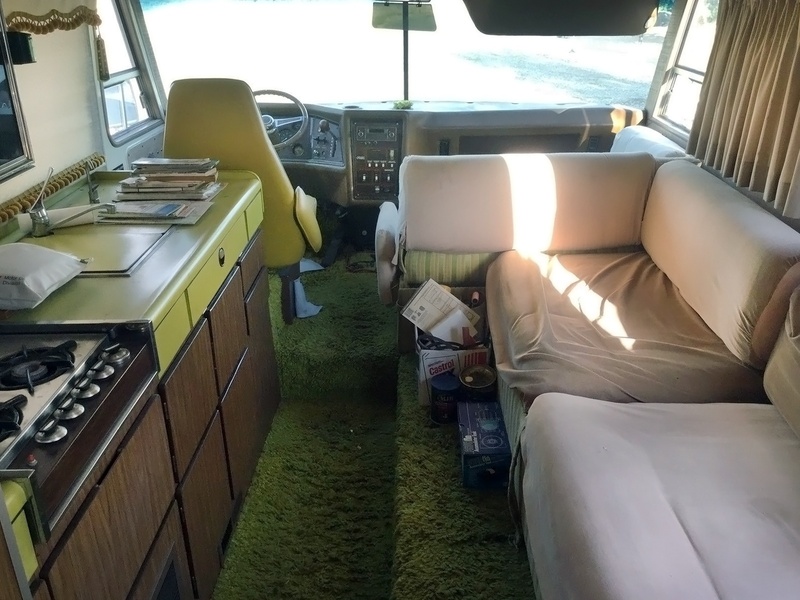 That this fantastic, unique motorhome was really their first attempt says a lot about the talent that they had in their Santa Clara, California office. The FMC motorhomes were built between 1973 and 1976 as they got pulled in other directions with building the Bradley Fighting Vehicle for the military, and also the gas crisis played a part in the company pulling out of the motorhome business. That’s unfortunate given the creative solution that they came up with right out of the gate. These luxury homes-on-wheels were priced at between $27,000 and $54,000, the price of the average home at the time! Stars such as Clint Eastwood and Carol Burnett, race car drivers such as Mario Andretti and Parnelli Jones, and other celebrities owned FMC motorhomes. 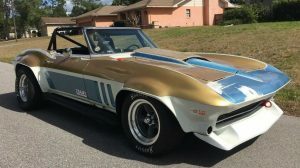 This example has a little over 77,000 miles on it and it has had its original interior covered since new, according to the seller. Speaking of the interior, wow! Yes, this was the early-1970s so there’s a lot of avocado green, harvest gold, and walnut wood tones scattered around inside. You may want to put in new carpeting, possibly not a green shag-variety, but hey, to each his/her own. As is usually the case with sales ads, I always wonder why two minutes isn’t spent on cleaning up and clearing things out of the way for the best possible photos. They are literally selling a house here, so cleaning things, getting rid of all of the “stuff” scattered about, and maybe even staging the scene would make a world of difference. But, I’m preaching to the choir, I know that most of you wonder about that, too. It does look super nice in there, other than the matted carpet but that’s the first thing that will come out anyway. FMC made the Rolls-Royce of motorhomes as far as I was concerned. 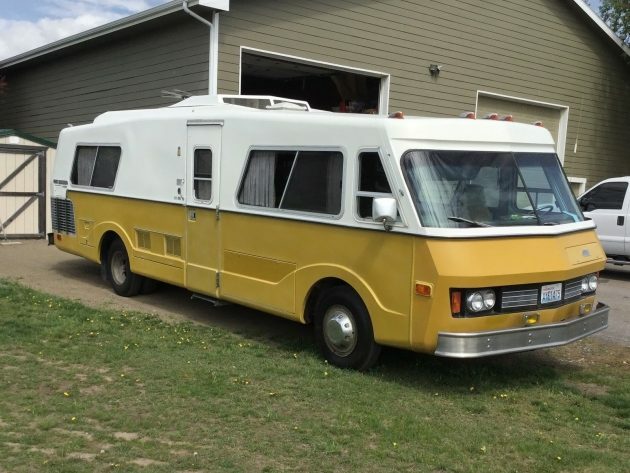 I would literally have dreams about having one of these back then, as my mom, dad, brother, and I were all crammed into the cab of our ’69 Ford pickup, sitting on a black-vinyl seat in the middle of summer, the AC dripping on our feet as we headed west with the Winnebago camper on the back. I wouldn’t have any place to put a vehicle this big now but maybe you would? 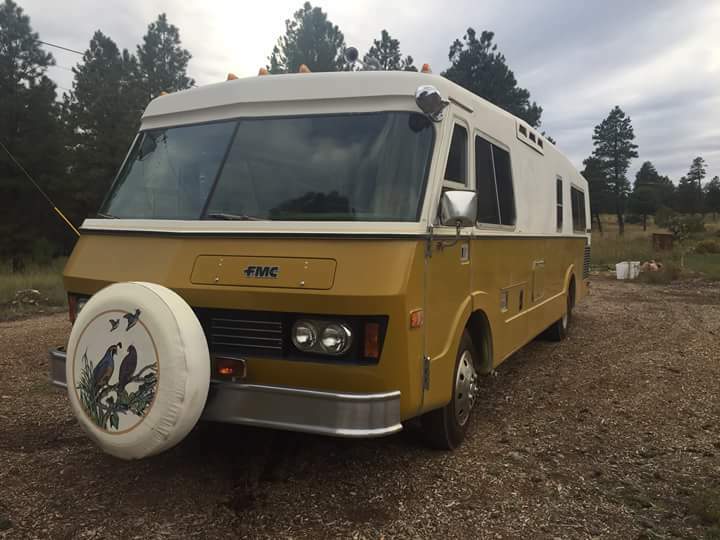 Are you a hotel person or would you enjoy the freedom of traveling in a nice, big motorhome like this FMC as much as I would? 15 bidders so far, and over 5G’s now with 4 days to go.. I have a original 2900r nice no title. A find next to a barn. 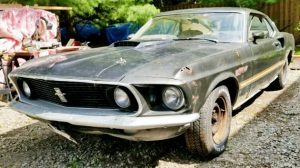 @Phillip – Please consider listing it here on the site: https://barnfinds.com/sell/ Thanks! what did it end up going for? WHY no title? ….and you have to go get it. That’s the best part, Robert. Fly out – drive home! These were supposed to have independent rear suspension and I always wondered how they did that? I know front is inde but the rear? Love these things. They have a 440 turned around backwards driving through a 727 to a big differential (also turned aound) via an off-center diveshaft. They’re rear engined, BTW. Great traction, very high quality, aerodynamic but not such great MPG. Also a wee bit long for getting to the good camping sites. I’ve surprised even myself with where I can put our 40′ Fleetwood diesel-pusher, if I really want to. Many great State and city parks here in California have length restrictions ranging from 21′ to 25′. While height restrictions are few, the modern super-tall rigs are at serious risk from large tree limbs overhanging camp roads. My 73 Hall GTC is 22′ long and 7’6″ in the beam with a height of 8′. It gets in virtually anywhere, but the 164″ wheelbase can make tight maneuvering dicey. These are not for the mechanically faint hearted. This one has not had the wheels changed from 17″ split-ring to 19.5 or 22.5 wheels. These 17″ wheels are designed for bias ply tires. The independent rear suspension is a torsion bar trailing arm system with a frame mounted differential. Brakes are drum all the way around on most units. Many parts are hard to find, or not logical in origin. Example, ball joints are 57-58 Cadillac lower ball joints, steering box is from a Hyster fork lift, and the list goes on. They are very enjoyable to drive and the house features are well designed. I own four, one parts and three in some stage of restoration. By the way, the tire and wheel upgrade can be from $3,500 to $6,000. Very Cool. Lots of info! There’s a lot of weight on that rear end, what is the gvw on that? The ride must be very smooth. Henry can I call you about the tires? I have a friend that has one and I need some advise. Hideously ugly, especially compared to the sharp-looking GMC Motorhomes of the era. What is so special about these? Rear-engine machines, gasoline (rare) or diesel (pretty common), is a plus. I agree. I find the FMC more attractive than the Winnebago of the same vintage. The only other vehicles that look more attractive than the FMC are the GMC Motorhome and the Travco. I’d buy one if I had someone to share in the experience. Beauty being in the eye of the beholder, this is an unanswerable question. However, they are much better made than the GMC rigs. Still a big following for them all over the country. That’s a big statement! 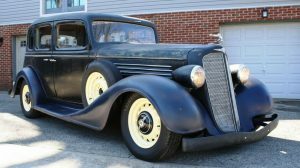 I don’t have any experience at all but the GMCs received EXTREMELY high praise here at Barnfinds in the past. I actually find it quite handsome. Certainly better than the Winnebago motorhomes of the same vintage. It reminds me of that cousin that came over in his RV with his whole family in “Christmas vacation”. ‘real nice’….. Then the real movie began…..
A friend bought one of these used back in the 90’s. As I recall, it was a very well done (for its era) motorhome. Just one problem though. He stated these were known for road walking when traveling straight, meaning you were constantly making steering corrections going down the highway. Very tiring to drive long distances. Supposedly an independent mechanic had come up with a solution but would not reveal his secret. You could visit his shop and pay him to execute the fix. My friend was a former mechanic and taught auto repair in a community college so he knew his way around vehicles. He even worked for a time as a Norton mechanic. Despite his experience and skill he was never able to solve the issue and so sold it. A steering damper will fix wondering tendency. That was the first thing he tried. there are/were ( safercar.gov ) some steering related recalls on these plus some service notices listed on the clubs websites which might help solve the road walking. Yes, they were notorious for that. I knew a guy whose father was a dealer. He would drive then from CA to OH, and stated they never really drove right. Basically it had the same problem as the Corvair. To much weight out the back, compared to the weight in the front. Tail wagging the dog. I heard you can put weights in the front end and make them a lot better, but you are fighting the design geometry. Short DPs have the same issue. He used a Clarke Cortez to begin with. 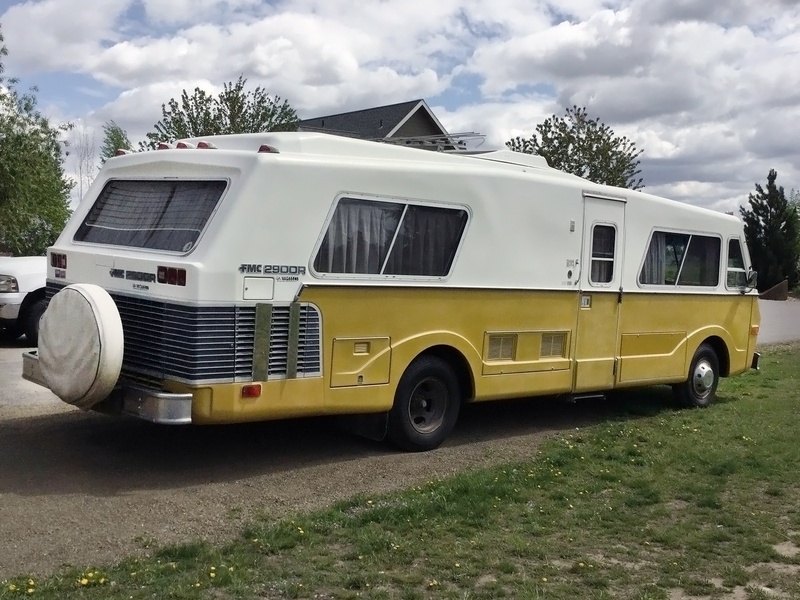 The Cortez was the first motorhome to use front wheel drive, which was the impetus for Revcon and GM to develop their Toronado-based FWD platforms. The cool part of these coaches besides the rear engine pusher design is the fiberglass body. Few seams and fewer leaks. Anyone who has been around RV’s understands the constant issues posed from water intrusion. These were quality built units. Ahhhh that green shag carpet takes me back to when I was kid and it was the rug to have in the 70s. We had it in are house in a different color and I remember bragging to my friends about it when it was installed lol. Those were the days. They don’t get bad mileage for the power and size. 10 mpg at 70, 12 at 60 from what I’ve heard. Not bad for a 440 in that size vehicle. Steering ‘wandering’ was solved for my FMCs by using Timbren rubber suspension assists above rear trailing arms. These help as the torsion bars weaken over time. This appears to be a nice original unit. There are two house ACs located to the rear of the passenger side door and two auto air systems for when you are on the road (keeps you from having to run the generator). If these are not working, a 15,000 BTU unit is usually placed in the middle of the coach. This seems like a rather unmolested original coach that would be reasonable to restore or upgrade. Price is now about market with 17″ wheels. Would be happy to discuss directly this coach with anyone considering purchasing it. Here is my best unit I purchased about two years ago from an estate. he**ybl***jr@gmail.com You can replace the asterisks. My FMCs are not for sale. Hi Henry – My thought exactly. This looks about as original as you’ll find anywhere and is in the right price range. Avocad green shag. Now there’s something I never appreciated, even when it was current. Only thing worse would be that terrible orange. Didn’t you used to have a Travco? Yes. I have had a few. I still have a 71 220 that needs the interior redone. Engine, transmission, suspension, newer AC and refrig. Paint, tires and interior are 1/10. Mechanicals and 4KW Onan 8/10. Two new windshields. With new tires you could drive it anywhere. I am going to check it out mechanically and sell it this summer. My concentration now is on getting my 2 FMC’s up to the same condition the one in the link is. The thing that would be worth a lot on this FMC is that it appears that has not been modified. Usually these FMC’s have been through a number of owners and mechanics, They are not listed in parts store computers. You would be amazed at the variety of manufacturers’ parts used in these things. FMC ground the part numbers off of their purchased parts, so it is the supportive owner group you turn to for advice. There are also complete service and parts manuals on CD that are available. Parts are FMC parts numbers, not auto store replacement part numbers. All this being said, They are a great motor coach that I much prefer over GMC’s. Both are good coaches, but the FMC provides unique engineering that is challenging to work on and provides an excellent handling motor coach with a very usable interior. If you wanted an FMC to restore, this would be a great one to start with. To drive immediately on a trip, look elsewhere. There is one possible negative. FMCs draw a crowd. Once I was parked next to a newer Prevost. Everyone wanted to see the FMC, even the Prevost owner. Anonymity is lost with an FMC. Wow Henry, that paint scheme makes your FMC look handsome and contemporary. 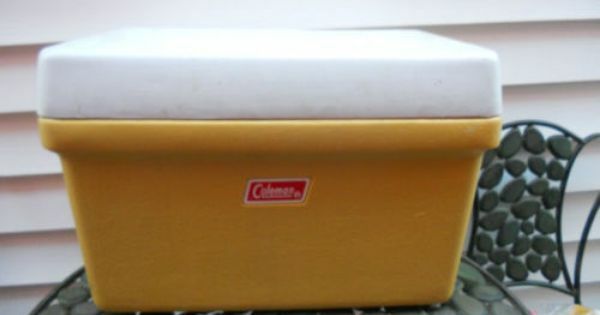 The mustard-colored one for sale looks like an old Coleman cooler. I’d need to replace the carpet with similar Avocado Shag.. where would you find THAT? wow! Looks like fun. GMC support and parts are much more available because there were so many made. There are only about 6-700 FMCs total on the road now. There are that many GMCs in one state. Many aftermarket parts for GMCs to improve their handling and performance are available. For a lot of money, you can have a great GMC. Towing a heavy load with a front drive GMC is no where near as easy as with an FMC. The FMC does not get stuck on wet grass as GMC’s can. FMC interior is a better design (opinion). A top drawer FMC will cost about half of an top FMC. That being said, if you want a mechanical motor coach adventure, get an FMC and you will be rewarded. For the less risky choice for the non-mechanical, do not buy either one. Buy a good tow vehicle and a travel trailer. You can drop them off at a dealer for maintenance. The FMC and the GMC usually require their maintenance at special shops. I prefer the FMC for my needs. They are not for most. For my uses, a GMC would just not work. We rarely see an FMC in the southeast. Many years ago when I worked in the RV industry, I had the chance to work on a couple of FMC’s and was impressed with the design and quality of these coaches. I installed a steering damper on one coach for a customer that was very effective correcting the motorhomes tendency to wander around on the highway. “Steer-Safe” was the brand, if my memory is correct. At one time I was in the market for a GMC coach. A friend of mine has one and loves it. Other then the tendency for front wheel bearing failures and air bag failures the GMC are an engineering marvel. The feature that changed my mind about buying a GMC is that the rigs is the limited tow rating. 1000 lb’s if I remember correctly. Since we tow one of two trailers when we travel, a boat that weighs 5500 lb’s loaded or a race care trailer that weighs 7000 lb’s loaded the GMC was ruled out as a suitable choice. We have owned several different crewcab dually 4×4 trucks for the last 30 years. Since we already owned a truck, we decided on a slide in truck camper for an RV. A Torklift 20K double shank hitch and a Torklift 48 inch Supertruss double shank hitch extender allows one to tow up to 12K with load equalizer bars behind a camper with an overhang of up to 48 inches behind a truck. Everyone RV’s differently and each owner’s requirements determine which unit will work best for you. The mustard color was the standard color. I could never figure it out. The man that owned mine had the Imron paint job done. The paint job cost more than I paid the estate for it. The wheels are 22.5″. Michelin tires are now about $800 each. These things are not cheap. I thought you might be the same Henry Blair. My brother has a 73 220 in pretty nice shape. He never uses it and won’t sell it either. Oh well. There’s an FMC about a half mile from here that’s in great shape – second owner, and they never, ever take it out. They also have a Rialta, which might explain it. Bobsmy uncle – Both are great. The FMC was a way-high-end RV at the time, and built like a tank. The GMC’s have virtually no outside storage and a not that well thought out interior, whreas the FMC is very well designed inside and out. I happen to prefer the flatnose Revcon to either of them, which shares the same FWD system with GMC, but has a much better interior design – in my opinion. lIke either of them, the Revcon can be run at 70 all day long easily and is excellent in sidewinds. Their bodies were built like Airstreams, but with a fiberglass roof. The Revcon is another unit that we rarely see in the southeast. I have been inside of a Revcon, but have never driven one. I have driven several GMC’s and two FMC’s. The GMC drives so nice! It handles like a car with a very low center of gravity. It stops well also with brakes on six wheels. Since the Revcon is built with a similar design, I always assumed that it will drive similar to the GMC. The FMC is definitely the most heavily built unit of the this group, and is more truck like then either the Revcon or the GMC. The FMC reminds me of the Flixible Clipper buses built from the 30’s to the late 50’s. Both are gasoline powered rear engine pusher styles, although the 440/727 setup is technologically advanced compared to the strait eight Buick powered/four speed manual powered Flixible. I know of one Clipper that is running a 440/727 with a US Gear two speed spliter. It is a awesome rig, and will maintain 80 MPH all day long on the highway! It sounds like anyone who owns an FMC will need to have a good relationship with the local machine shop. The rear lounge design was cutting edge when this unit was built. Winnebago offered that design as a place for children to play in the back of the coach while the adults rode in relative quiet in the front of the unit. At night-time the whole thing converted to bed space, either two twins, or a huge oversized bed with the back rests making extra space used over the folded table in the middle. We owned an 89 Holiday Rambler Imperial 33′ Class A tag axle with rear twins that I converted to a rear lounge area. It was great for a family. One of the main good things about the FMC is the eerie quiet while driving. The power plant and drivetrain are way in the back and well insulated against noise and heat/cold. I’m a bit sceptical about the 10 to 12 MPG claim though. Maybe onn the flat, but for sure not in the mountains. I doubt the 10-12MPG also. Most class A’s with 440’s will average 6-7 MPG on the highway and 3-4 in the mountains. It is not unheard of the hear 2-3 MPG if towing, and many people flat tow a small car or SUV. The FMC is more streamlined than most class A’s and is probably lighter. 8-10 is my guess for MPG. If I were interested in this coach the first thing I would do is a color change. The unit would look great in up to date colors. 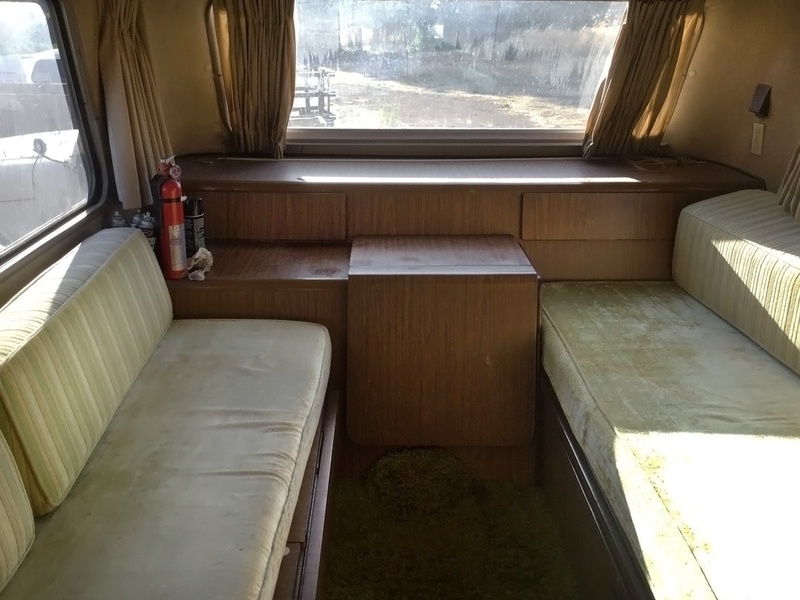 Recovering the furniture and hardwood floors would change the whole personality of this motorhome. Even 8-10 is pushing it I think. I’m guessing 8 – 5 in the hills. They’re pretty big and heavy and 440 cubic inches is a lot of volume. I hope someone gets it soon! The mustard color is pretty bad but painting over gelcoat can be not all that easy! The other coach will be used by my daughter to support my granddaughter at horse shows and hunts in Virginia with an appropriate wrap. The interiors are up to them. I have painted a couple of boat hulls and had good results. Prep is the key. I painted the hull on my parents bass boat in 1989, and the paint is still good. A couple of small scratches with some touch up along the way and it looks like it did in 89. Take a look at some of the custom paint jobs that people are having done on the GMC’s. Some of these are factory colors, and some are updated with good results. Sweet looking motor coach. It looks more attractive than the Winnebago motorhomes of the same time. Is there anyone who lives in either Seattle, Washington, or Tacoma, Washington, who owns an FMC 2900R? It’s sold, and for a very fair price. FMC built their coaches like Rolls builds their cars and are in a completely different league from Winnebago. This was a heck of a deal for the lucky buyer. That’s awesome. I’d buy one if I could find one in decent condition. Minimal patina, decent running engine, everything working as they should. Post your interest in purchase on fmcowners.com and the Yahoo FMC group. There are usually a few for sale on the West Coast. Let me know if I can help you. The comparison of the maintenance of an FMC to a vintage British car is an excellent comparison. If you do not like to trouble shoot and get your hands dirty, look elsewhere. Even in good cond, a 40 yr old motorhome requires more maintenance than any old British heap, and that was work on it 6 days to drive it on Sunday. I have a 25 yr old Chinook on a Ford E350 and i the time spent working on it is great therapy. Drives like a truck but hey… its a truck. RV type freedom is that good….. I think that’s the case with everything. You use it, it wears out, it needs maintenance in order to keep it running properly. If you don’t, it’ll deteriorate and you won’t be able to use it anymore. Being 40 yrs old, I’ll bet it does. I recently became the proud owner of coach #483 that I found in So. Ca. and drove the 1500 miles back to Montana. I am presently completely going through the cooling system. After identifying it the water pump has been sent out to a rebuilder in Az. The wrong thermostat had been installed which I have corrected. The coach had been owned by it’s original purchaser all these years and has only 62k miles. It is 100% original and everything but 1 air cond works. 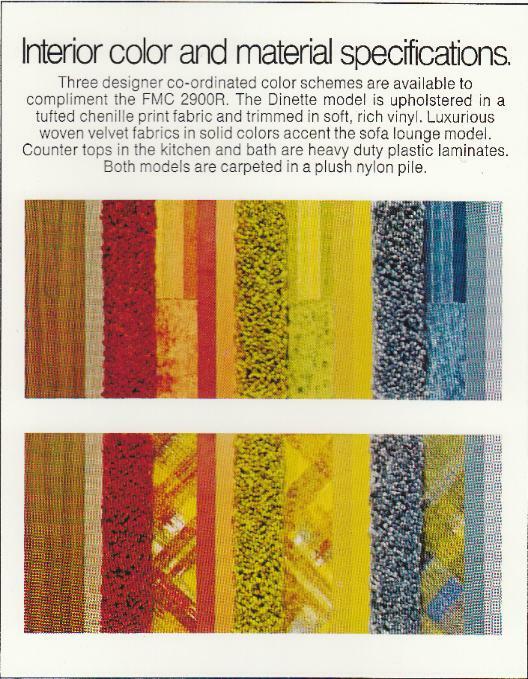 And yes, it has all those “icky” colors that were so popular in the 70s but I can live with it. I plan on joining the owners club and meeting it’s members. Congrats on a great find. Have fun w it ! First, I own five FMCs — #254, #589, #622, #842, #920. I will be selling 254,589 and 622. They all will be safely driveable with tubeless tires with over half the tread on them and range in price from $5,500 to $13,500. If the FMC needs tires, it reduces the price you can ask. If it still has the 17″ split ring rims, it really reduces what you can get for it. Tubeless 19.5 rims cost from $125 to $250 each. Keeping the 17″ wheels is problematic as many shops will not touch them because they require an expensive insurance rider in most states and a metal cage to be changed. To net it out, you will pay about $200 for each 19.5″ tire and about the same for the used 19.5″ rim. 7 x $400=$2,800 for the wheel conversion if needed. $1400 for tires only. With the engine not running, you have a very big if. What is the engine’s true condition? What is the condition of the transmission? Do the brakes work? What is the condition of all the house systems? Any leaks? Finally, demographics work against you. Not many people want to take on the maintenance of a 40 year old house and a 40 year old vehicle, particularly one that starts off in questionable condition? Craig’s List, FMCOwners.com, and the FMC Yahoo Group would offer a good starting point for listing. Barn Finds and the RV listing services provide other good sales opportunities. If you can park it somewhere with good traffic visibility, that would be good. My name is Kurt Kjelgaard and this is my first post here. 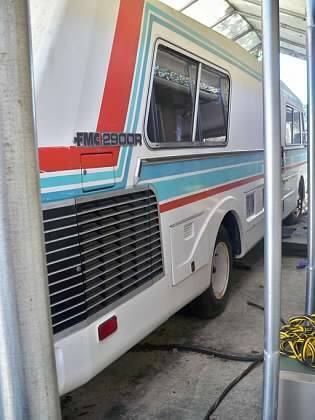 I am looking to buy an FMC and has been around the FMC Motorcoach Restoration website. Leslie and Christopher Hoagland in Broadwell, IL. I have sent emails, called their phone and even sent a fax, but with no response at all. Could be their website needs an update. Does anyone know if they still are in business or have updated information. I have 3 FMC’s for sale — #254, #589, #622. Send me a personal email if you want further details. I can deliver to the Charleston port. Henry, Are you the guy who has a small collection of those coaches in central Illinois? I’ve driven by there a couple of times and was always temped to stop in, if I saw anyone wondering around outside. 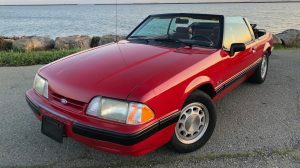 I had an ’83 Revcon for 16 years that I just sold last fall. FMC was on my short list of coaches, before I bought the Revcon. That was another coach that you had to be your own mechanic to maintain. Many odd parts that you has to know what they were from, in order to replace. One of the guys who test drove it had rebuilt 3 GMCs. He said that the Revcon handled noticeably better than the GMC. Fun time with vintage coaches. I live in North Central South Carolina. I am 75, and after a 10 1/2 surgery in January on my heart, i counted up all my ‘projects’ and realized that i would be well over 110 before i got them all finished. Two of my coaches have been sold to the Beaver Tail franchisor in Ottawa. He is modifying one for a food truck. The first one he bought from me was felt to be in such good condition that he is using it as intended. A second one was not as pristine. This coach will be used by me until it is sold. It drives well and gets compliments every where it goes. When I stop to fill with gas, it draws a crowd. The inside is as good as the outside is. I can understand your interest in FMC coaches. Watch online the FMC that Count’s Customs did on his TV show (Kounts Kustoms ??). However, for a nicer coach imho is Europa in 23 or 27 ft lengths. Chevy drivetrain is easier and twice the gas milage at least. Thanks for the quick response. I will take a look at the Counts Customs show. I like the FMC for the design and the, as I see it, fairly advanced technical approach. I definitely will take a look at the Europa, although I must admit I never heard about it. What years are these? Do you have any info on the Hoaglands? They are still in business but seem to be reluctant to answer their phone. 800-7861536. 217-735-1536. Just keep trying. I have #482 which is 100% original except for anew frig. It has new tires, water and fuel pump CORRECT thermostat and rebuilt radiators. It has 60,000miles. It may be for sale later in the year. It is identical to the one featured here. Hi Roger, I do not believe they are still doing business, since Leslie passed away several years ago. I find it the best looking motorhome of the time, with the Travco coming in at a close 2nd, and the GMC Motorhome, an even closer 3rd. I’d buy one if I had someone to share in the experience. This is very clean but the shag carpet isn’t the best — maybe go with a tan or brown. My name is Ronald Schooley and I have owned FMC #066 for the last 9 years. I have antique plates on it and it is very roadable. Retired, I find it my personal challenge to keep this 45 year old vehicle. The engine , trany and genset were rebuilt before I purchased it. I had the radiator recored 5 yrs ago and all new hoses, belts, etc replaced at that time. Ii draws a crowd no matter where we go with it. Love the beast, engine purrs and gets down the road. Would post pictures but don’t know how. Hello…… I also have a FMC #458 mine is like new also…….. love it.. My Brother would sell his hugh fiftwheel to buy a FMC. What are you asking and where in the world are you?? I am in Portugal and will be returning on 12\3\2018. The motor home is in Bethune, SC. Send me a private email -henryblairjr@gmail.com if you are interested. You can call me at 803-427-6986. FMC #589 is in great condition. It was listed on Barnfinds earlier this year.